6 year old who was hired as "Director of Fun"
Six-year-old Sam Pointon from Leicester wrote to the museum and applied to replace retiring director Andrew Scott. 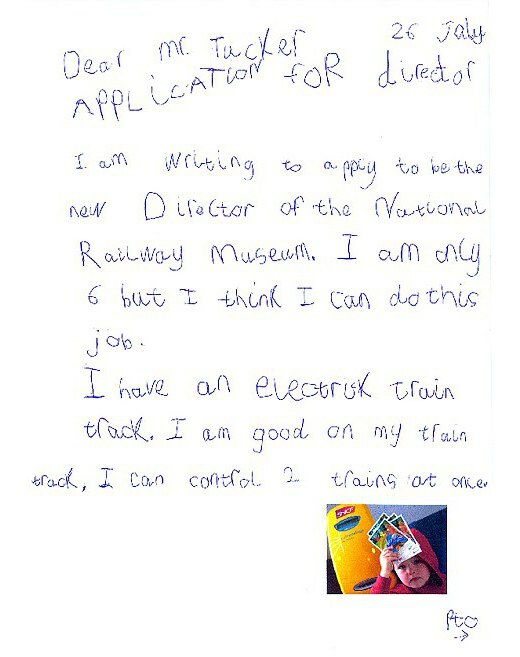 In his application Sam wrote: "I have an electric train track. I am good on my train track. I can control two trains at once." 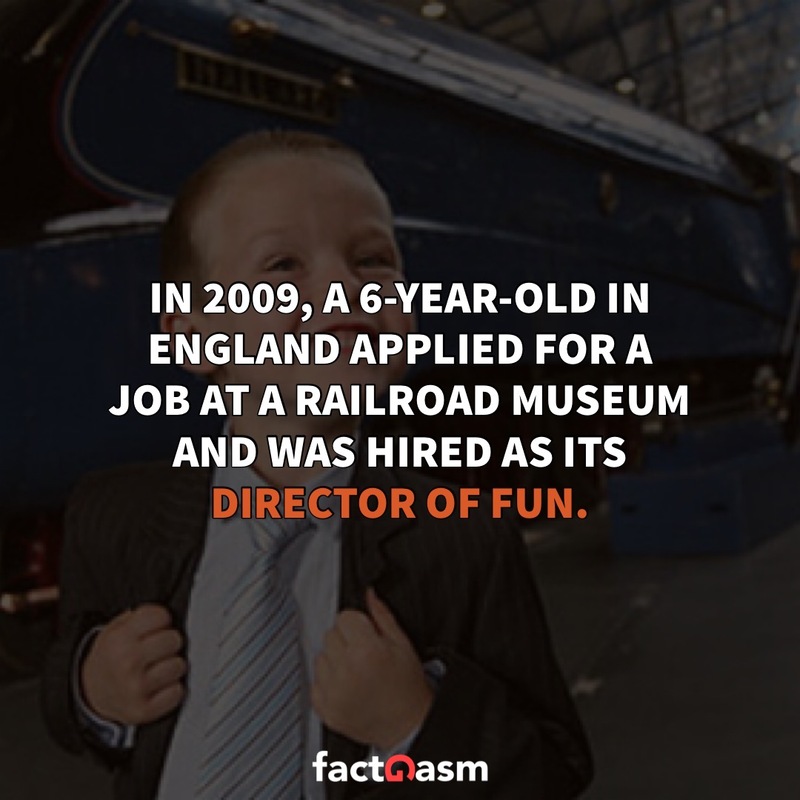 Bosses were so taken with his enthusiasm they offered him a role as director of fun. Sam said: "It is the best job in the world. I love it. It is good fun. "My favourite is the steam engine, I like it when the wheels go round." 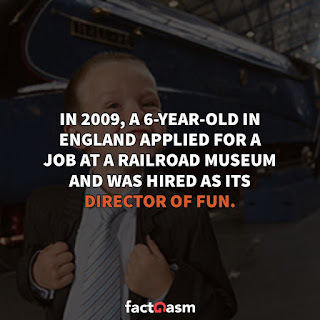 Asked what qualified him for the role at the railways museum, he answered: "I've been on loads of trains, including the Eurostar."